A selection of levelled titles from Oxford's most popular series. 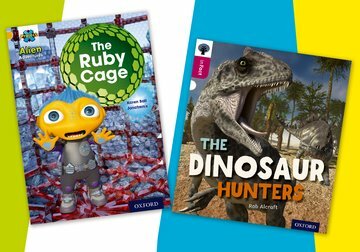 The Oxford Variety Levelled Readers Pack Gold, White, Lime contains 100 individual titles drawn from Oxford's most popular series: Oxford Reading Tree and Project X Alien Adventures. This pack is aimed at strong readers in Key Stage 1. It contains a range of genres including poetry, traditional tales, non-fiction, variety and character fiction. Perfect for encouraging children to read for pleasure.